Wired environmental sensors are hardwired devices that are used by alarm systems to inform users of various environmental problems and hazards. Some possible environmental conditions include fires, carbon monoxide, extreme temperatures or leaks and flooding. Buy a wired environmental sensor from us. Many different types of devices are considered to be environmental sensors. The simplest definition of an environmental sensor is that it is a alarm device used for detecting certain environmental conditions. These conditions could be life-threatening, or they might be likely to cause severe property damage. Some environmental sensors that function as life safety devices include smoke and heat detectors and carbon monoxide detectors. Some environmental sensors used for preventing property damage include temperature sensors and flood sensors. Overall, environmental sensors are strongly recommended for use in any home or business. The ability to warn a user about a potentially dangerous or costly situation before it occurs is absolutely priceless. This makes these sensors great for any alarm setup. The two major types of life safety sensors are smoke and heat detectors and carbon monoxide detectors. The presence of either fire or carbon monoxide represents a very serious environmental condition that the user should definitely know about as quickly as possible. Thousands of lives are saved every year thanks to these important devices, making them immensely important. These devices are available in many different forms, with some including multiple functions and features. One such example is the Honeywell 5800COMBO. This device includes smoke, heat and carbon monoxide detection all in one convenient package. This makes it great for users who want multiple forms of protection without having to purchase multiple devices. When buying a life-safety device, we strongly encourage you to check the sensor’s features to make sure that it includes all of the features and functions they need. However, there exist other environmental sensors than just life-safety devices. These include flood sensors and temperature sensors. While these devices might not save lives, they can prevent users from experiencing significant property damage in their home or business. Flood sensors work to detect leaks within the house or from appliances before they develop into a serious flooding situation. Meanwhile, temperature sensors detect extreme temperatures that could cause damage to a building. Temperature sensors are often used to detect excessively low temperatures that could cause the pipes to freeze. Both of these sensor types are very useful when they are paired with an interactive service, such as Total Connect or Alarm.com. This way, a user can know about a potential problem even if they are away from home. As hardwired devices, wired environmental sensors can be somewhat more difficult for users to install. A wire will to be from the sensor to either the system or to a wired to wireless converter. 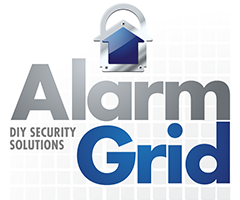 The device will then need to be programmed with the alarm system in the same manner as any other type of sensor. But a major advantage of wired environmental sensors is that they will never require any sort of battery replacement. This makes them ideal for users who never want to perform any sort of maintenance on their environmental sensor after the device has been installed in its location. Overall, wired environmental sensors are great devices for any wired setup. What is Zone-Doubling on a Honeywell VISTA System? What's the wire length limit on a Honeywell VISTA's polling loop? How Do I Program a 4193SN to a VISTA-128BPT, 250BPT, or VISTA-50?